Bella Real Estate, Inc. specializes in residential property management, residential and commercial sales, and leasing in Round Rock, TX. Bella translated to English means Beautiful; we strive to maintain the beauty of your property by providing exceptional property management. In the 1950s, Taylor was the economic powerhouse in the county due to it being the center of cotton production and shipping and had a large population. So it was expected, then, that the proposed Interstate 35, part of the new Interstate Highway System would pass through Taylor on its way from Dallas to Austin. By the 1990s, Round Rock was primarily a bedroom community with the majority of its employed residents working in Austin and then returning home after work to places like Round Rock and Georgetown where housing and land was less expensive. 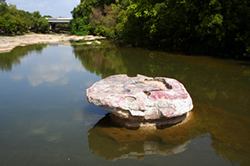 In the 1990s, Round Rock had few major employers and jobs other than local retail and other services, or ranching and farming.